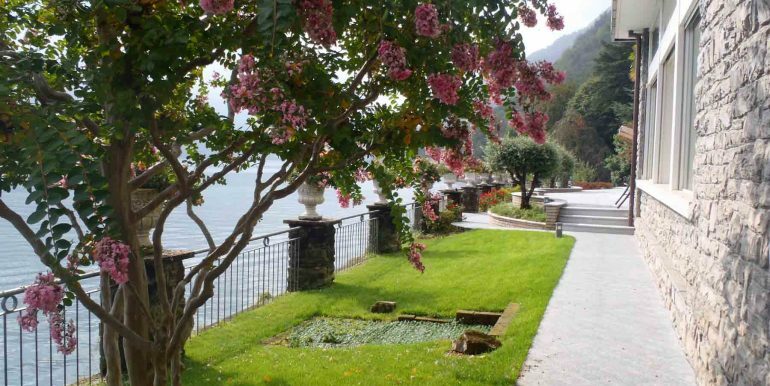 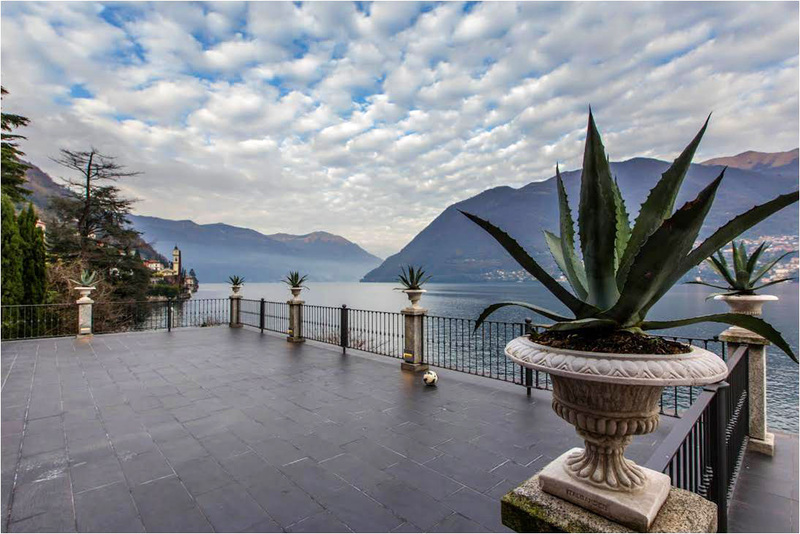 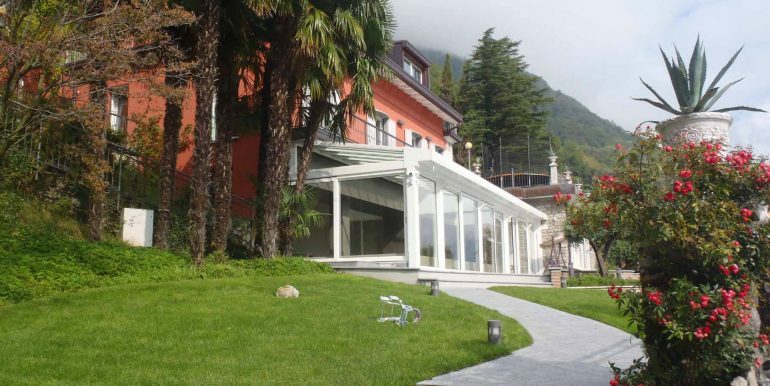 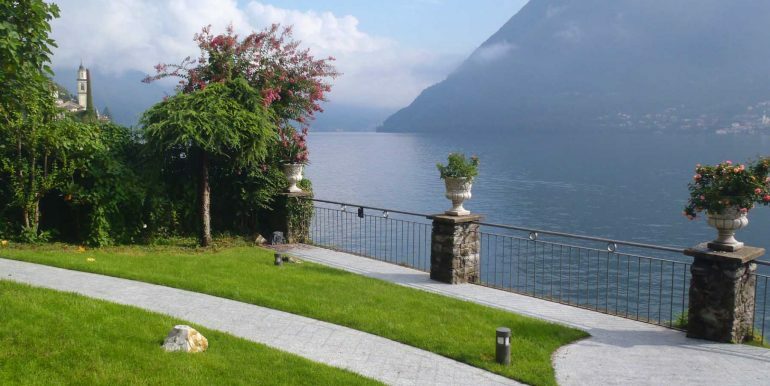 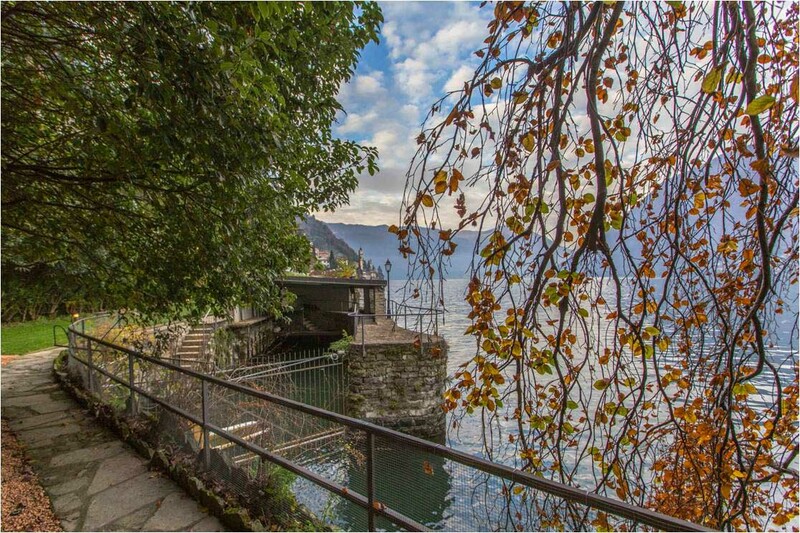 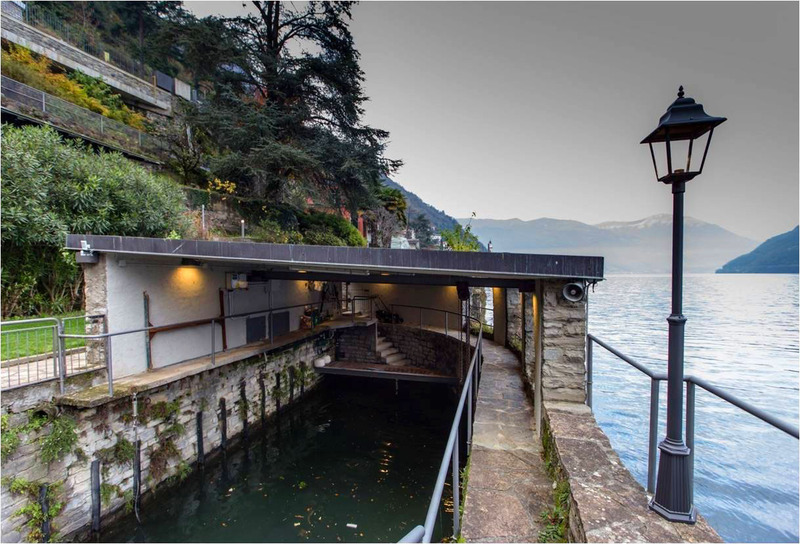 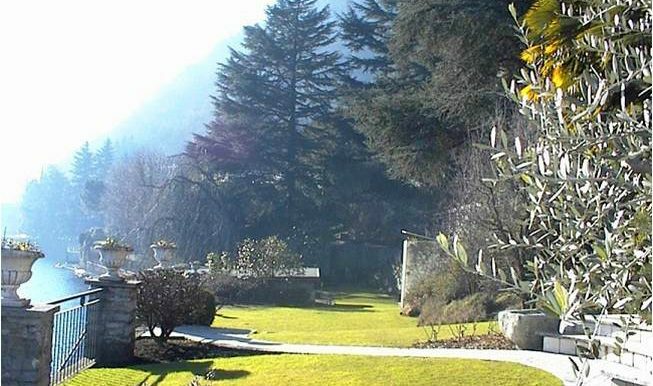 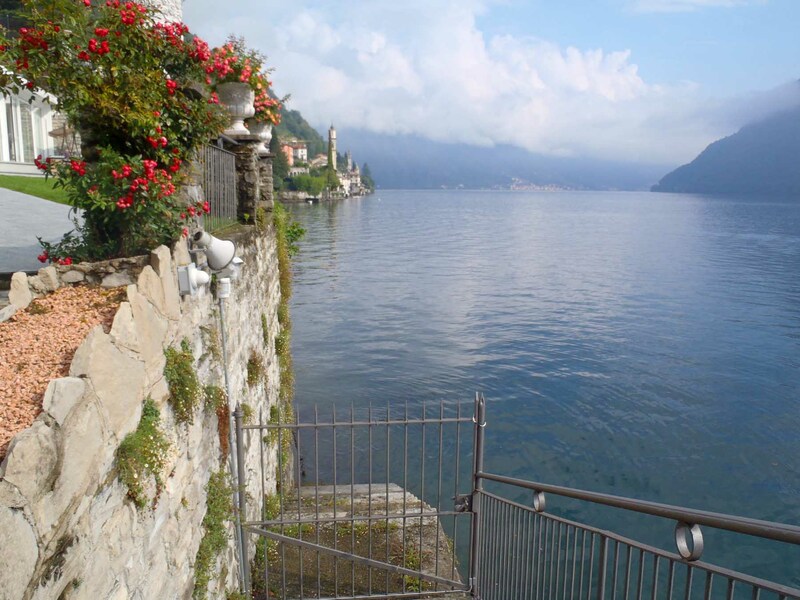 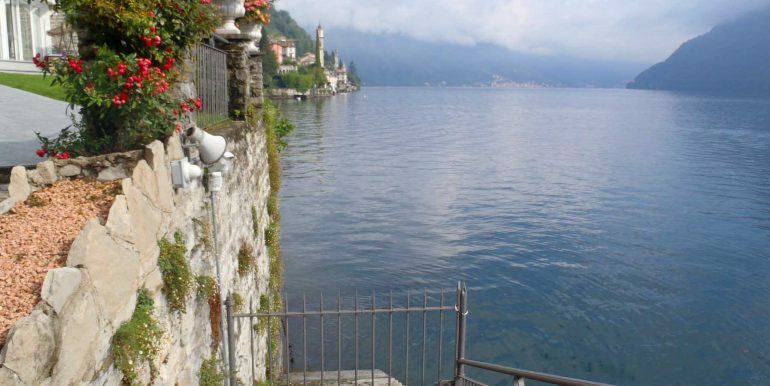 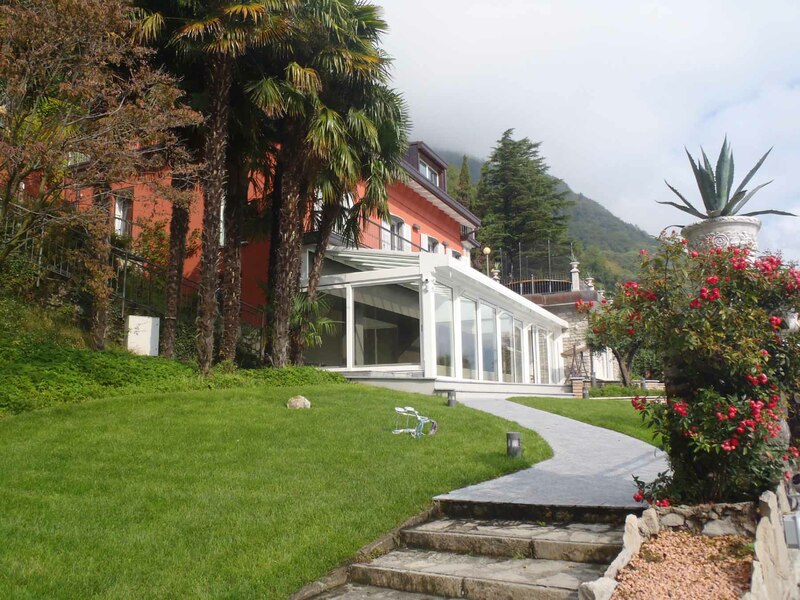 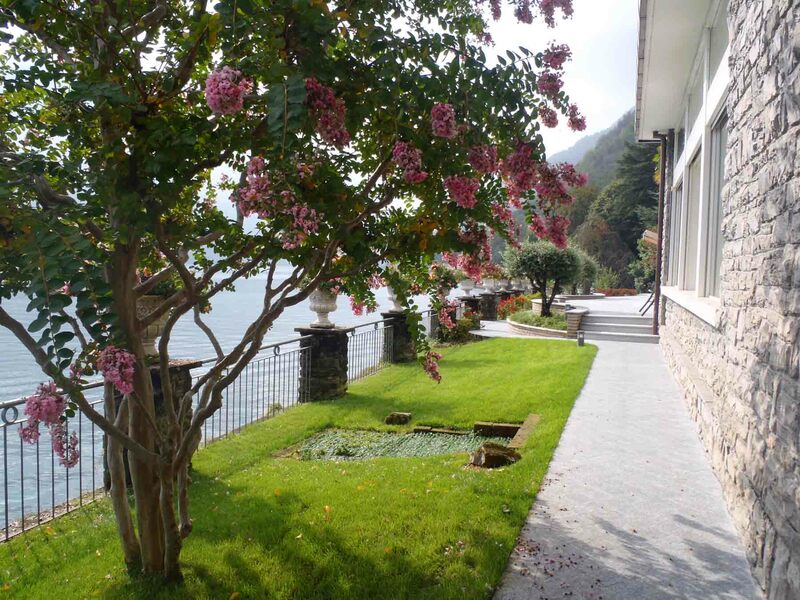 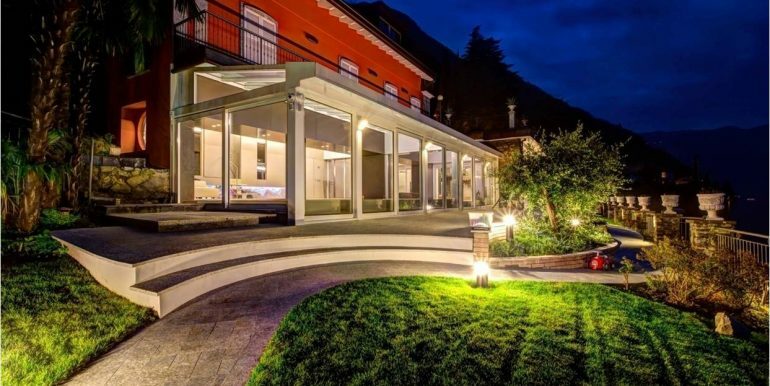 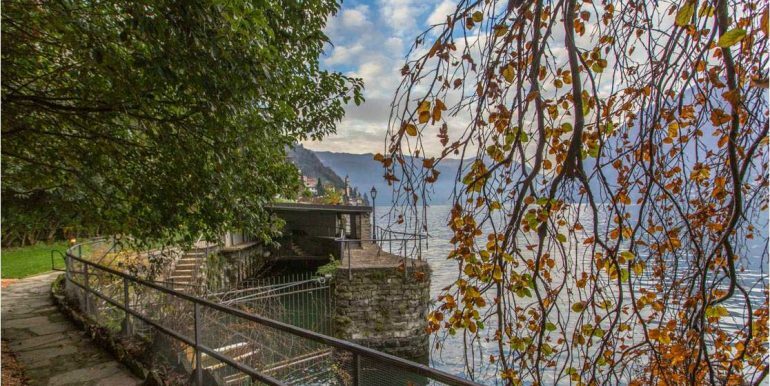 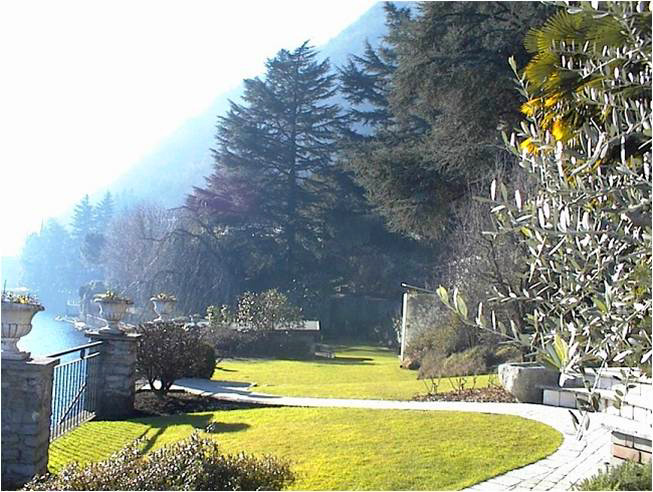 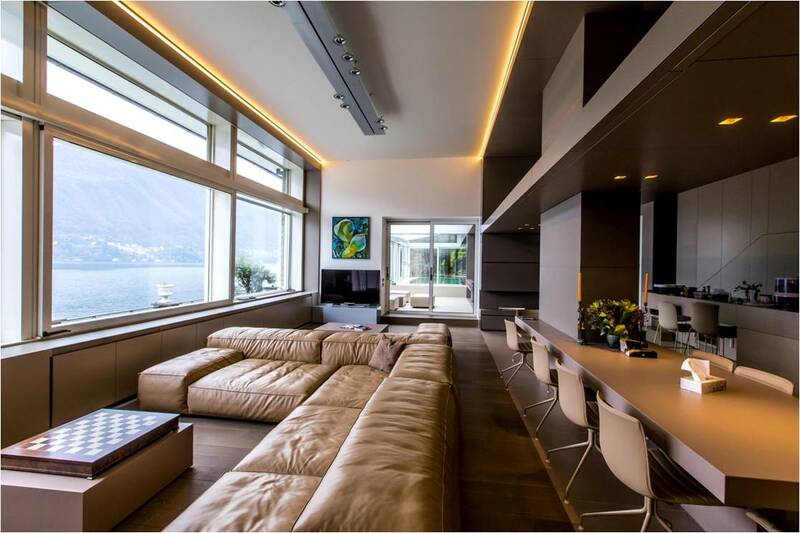 This beautiful fully renovated lakefront villa is located in Brienno, in a strategic position where everything can be easily reached in a short drive. 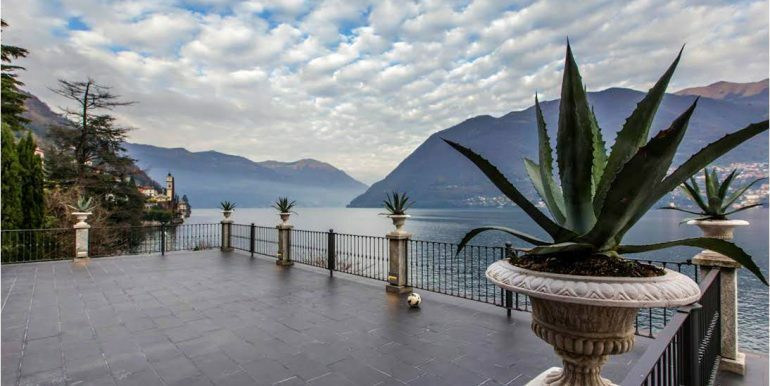 Here some distances: 15 km from Como, 32 km from Lugano (Switzerland), 1 hour drive from Milan, 45 minutes drive from Milan Malpensa international airport. 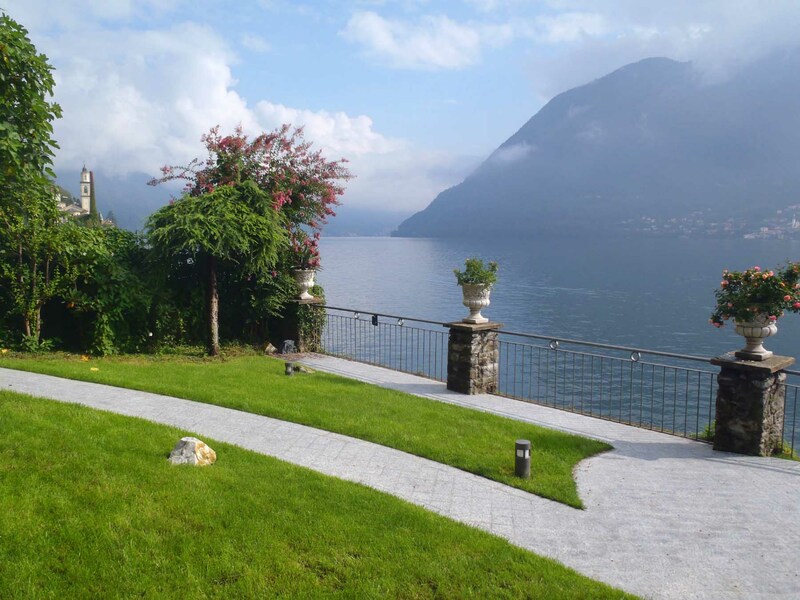 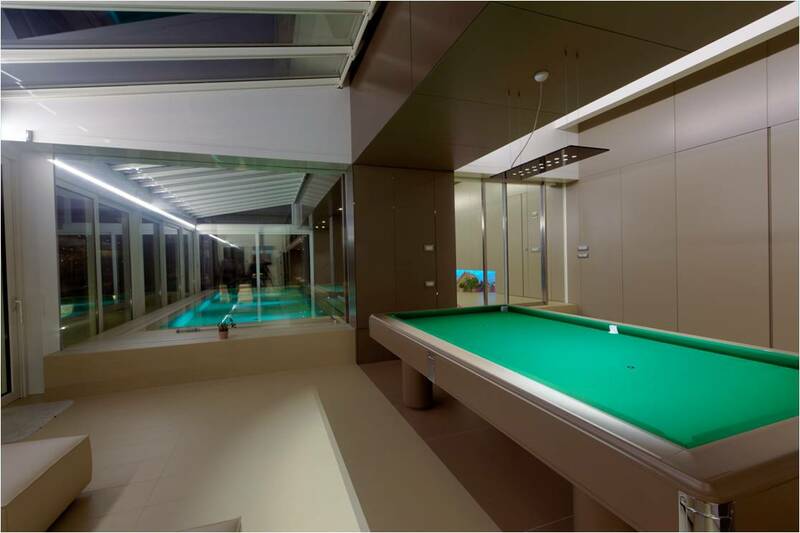 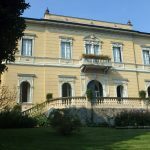 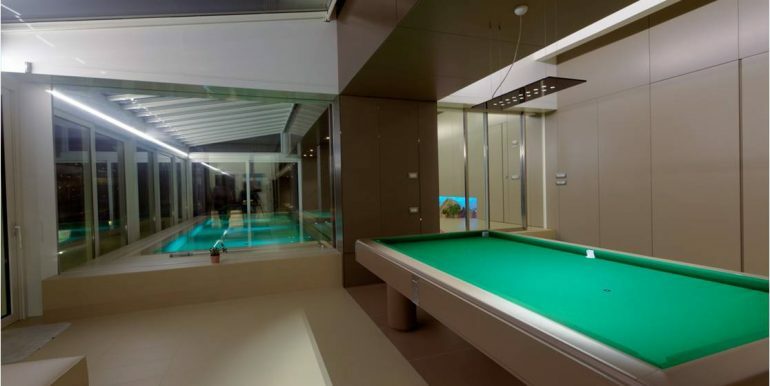 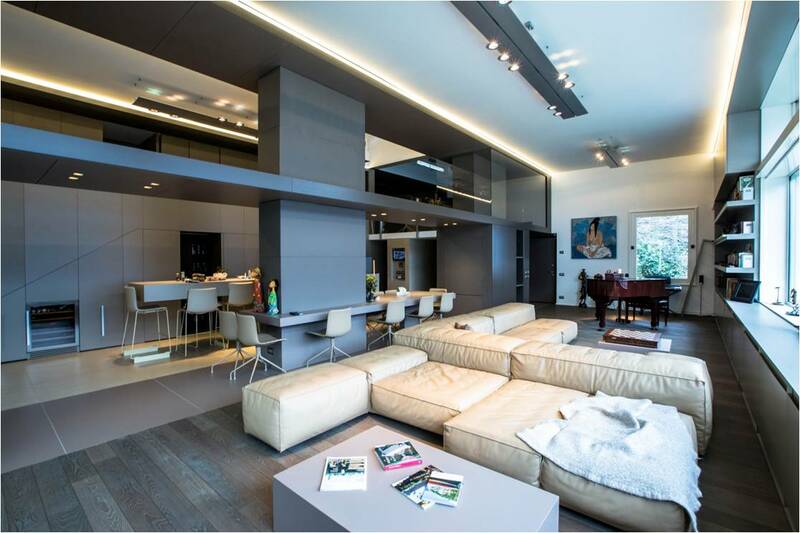 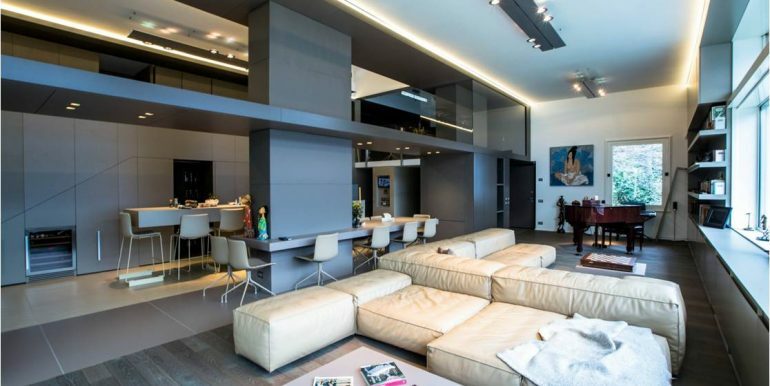 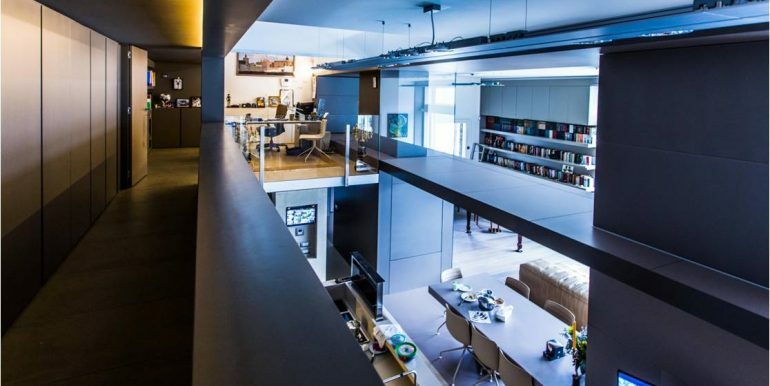 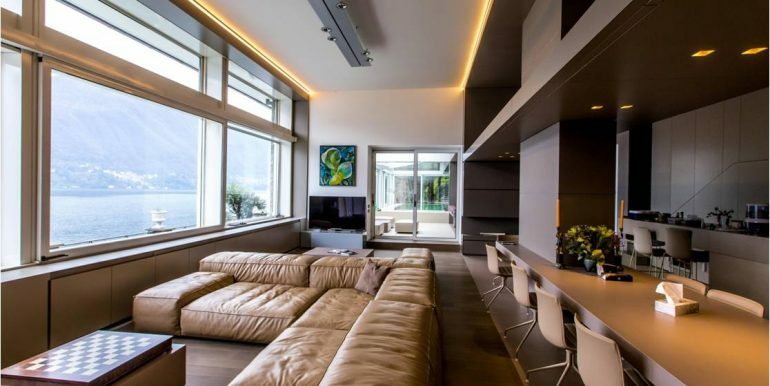 The villa is on a plot that measures 2.800 square meters, with a garden of 2.083 square meters that stretches along the lakefront line for 110 meters. 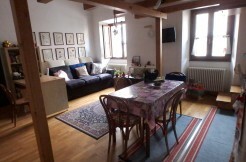 The property includes a guest house of 48 square meters (disposed over 2 levels, it includes a living room with kitchen corner, one bedroom, one bathroom and a walk-in closet), a garage of 39 square meters for 2 cars, plus 2 extra car parks, a usable darsena (the covered boat’s dock) of 72 square meters, and an upper terrace of 120 square meters. 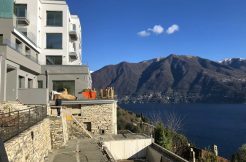 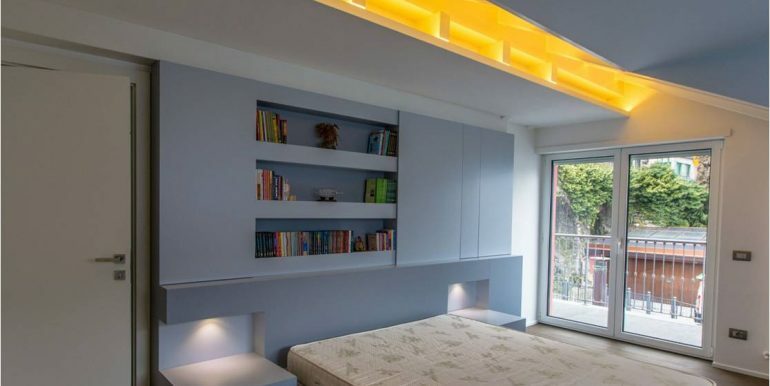 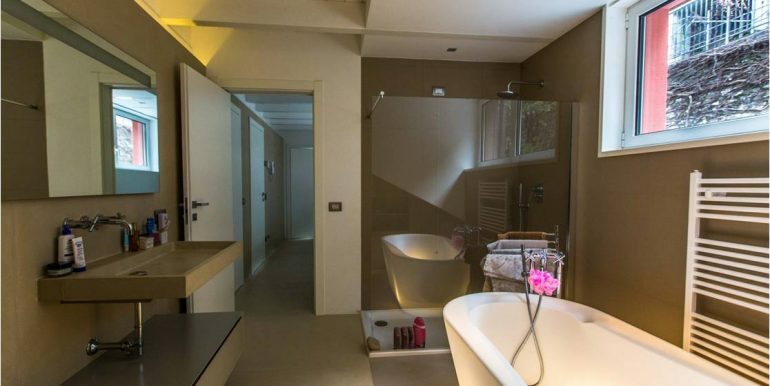 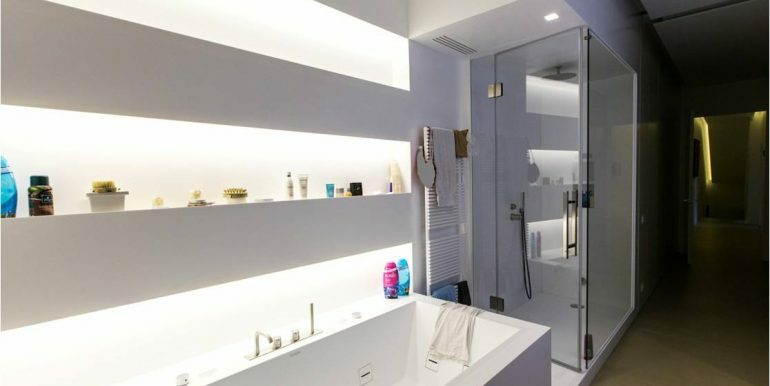 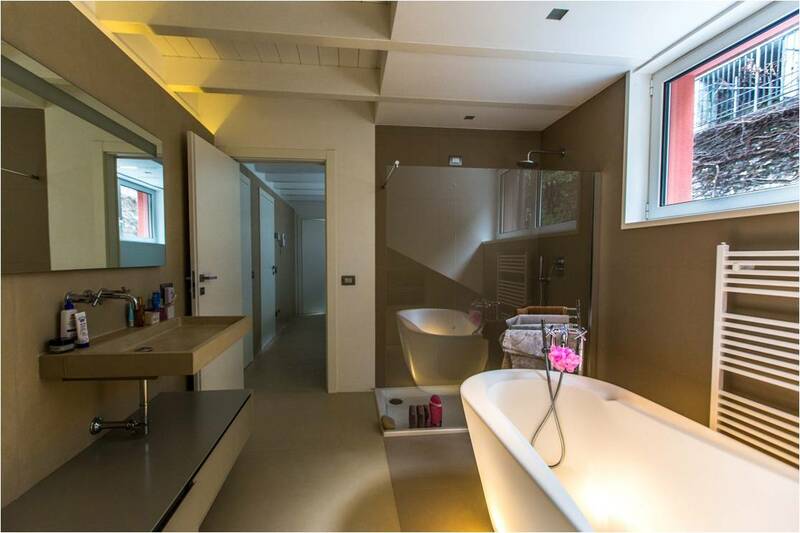 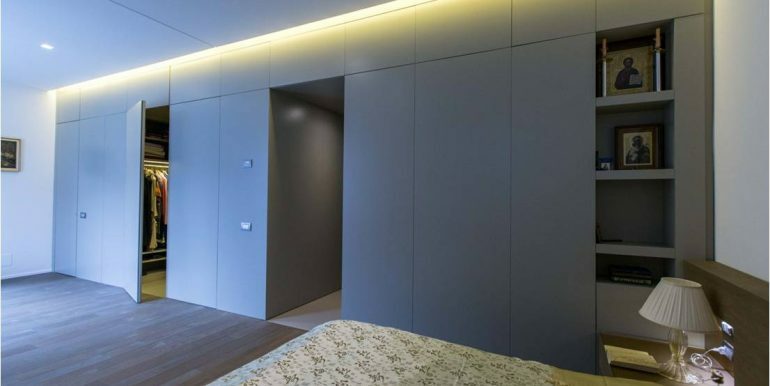 – 1st floor of 120 square meters: one master suite that includes a large double bedroom, one en suite bathroom and a walk-in closet, 2 other bedrooms and another bathroom, balcony towards the lake that leads to the great upper terrace of 120 square meters. 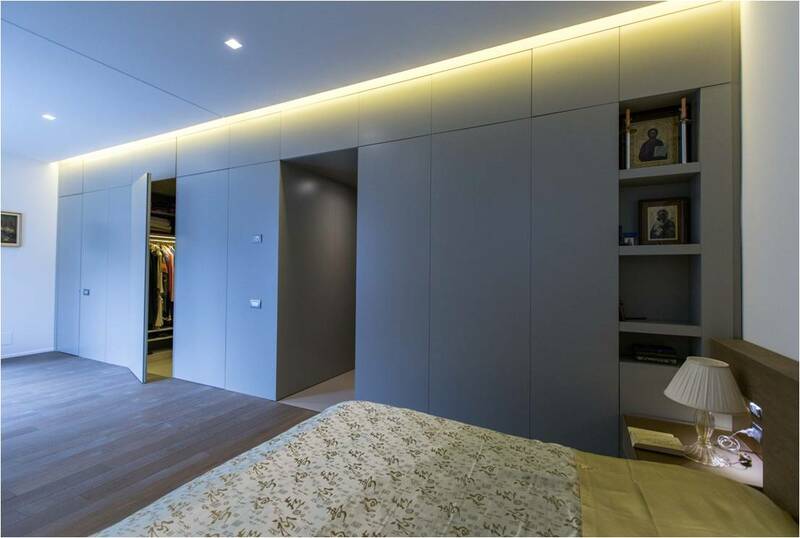 The big bedroom of the master suite could be easily turned in 2 bedrooms, if needed. 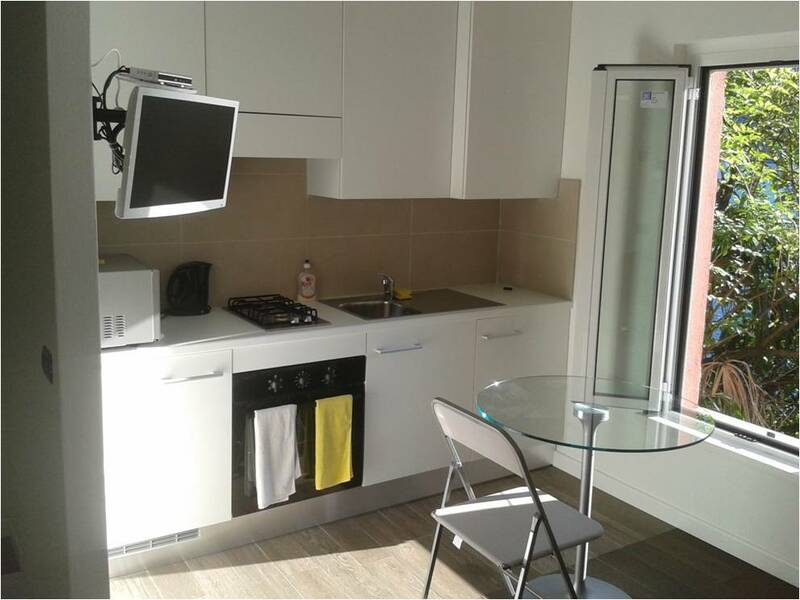 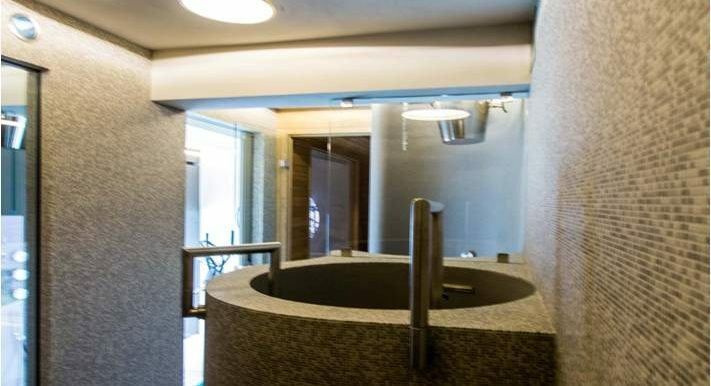 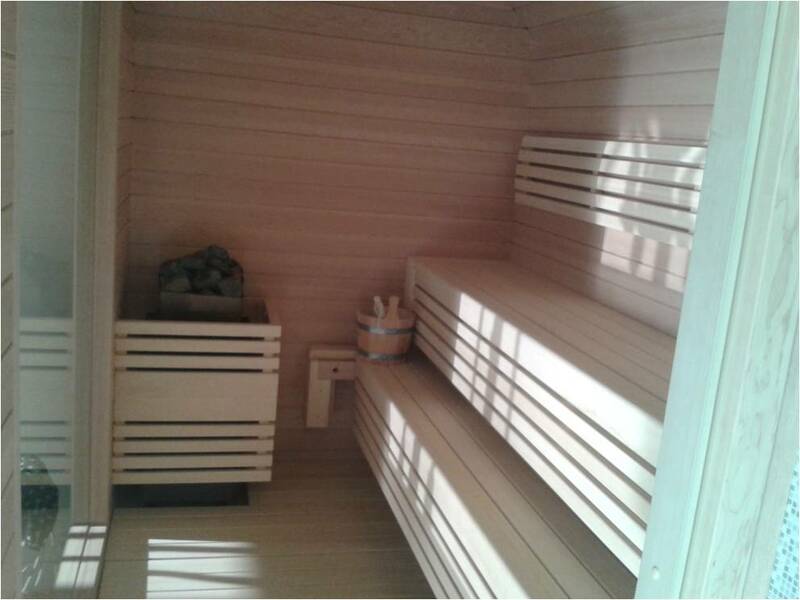 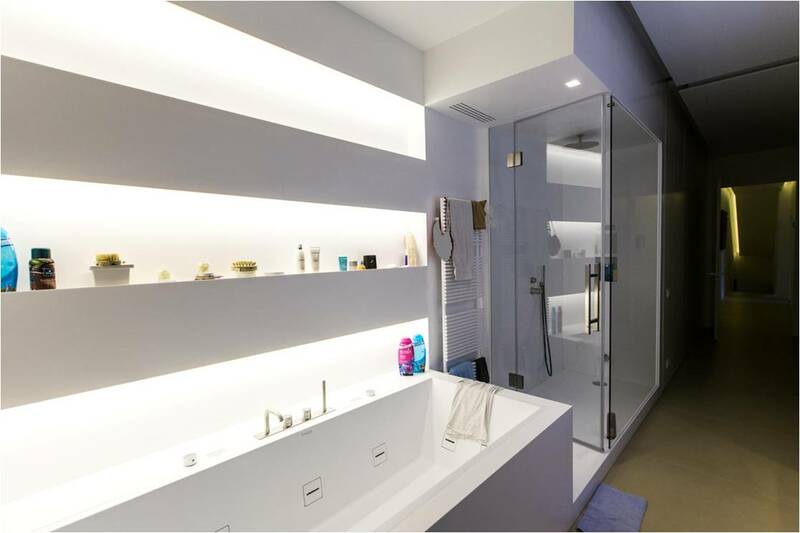 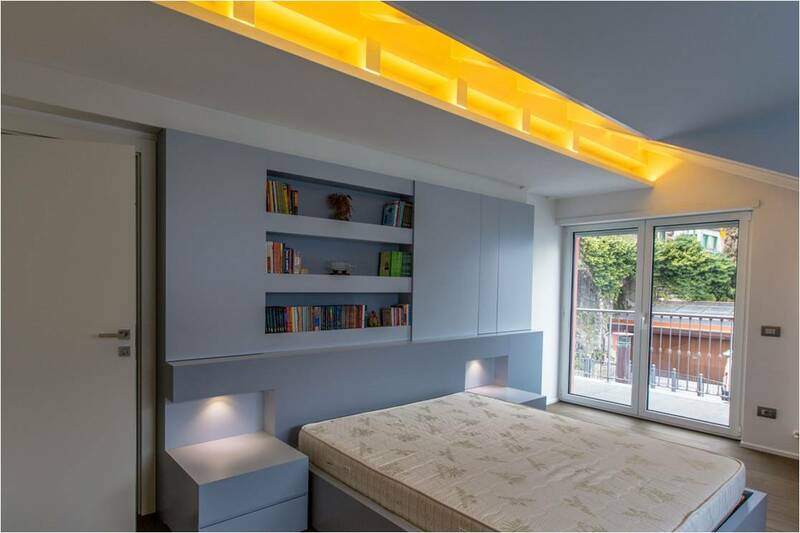 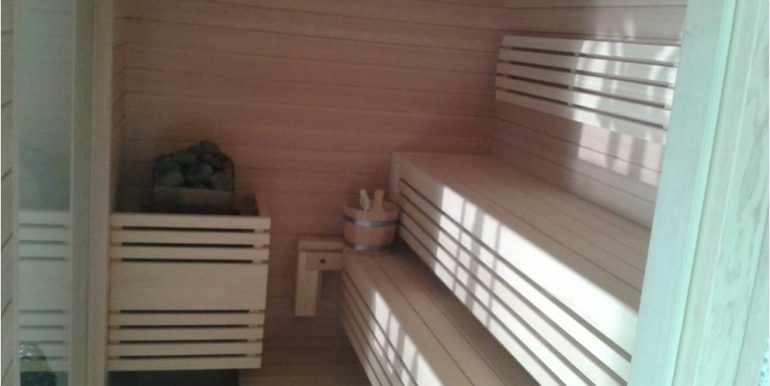 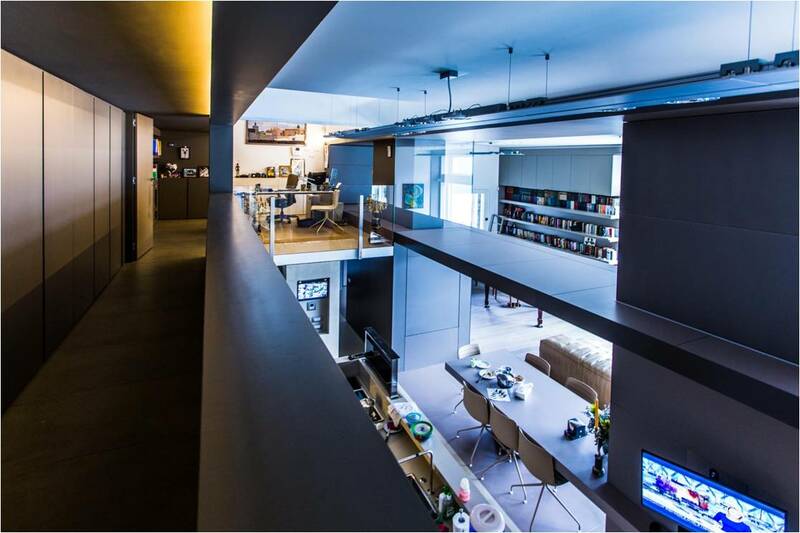 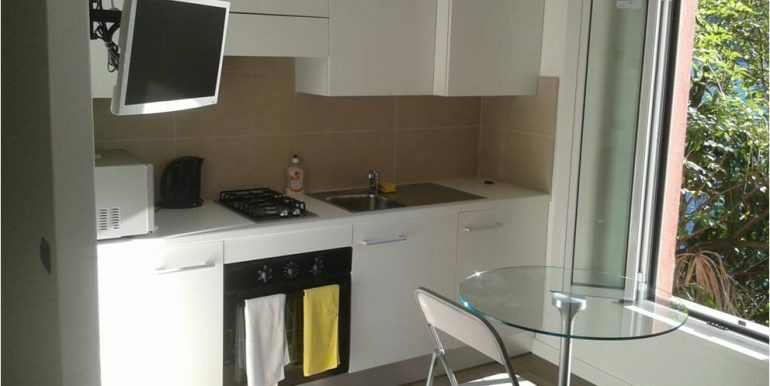 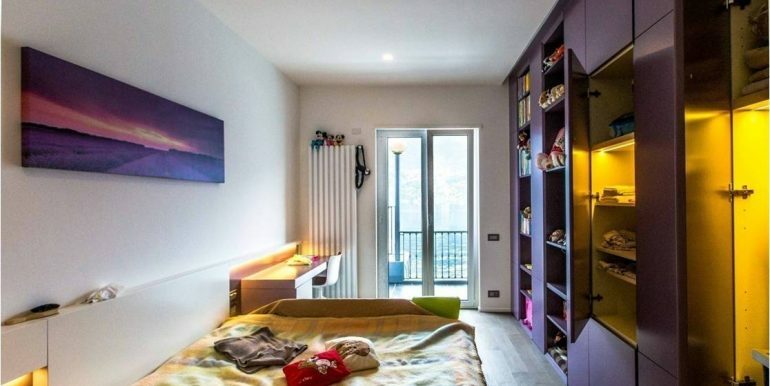 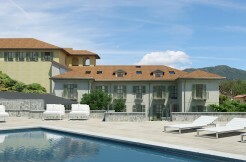 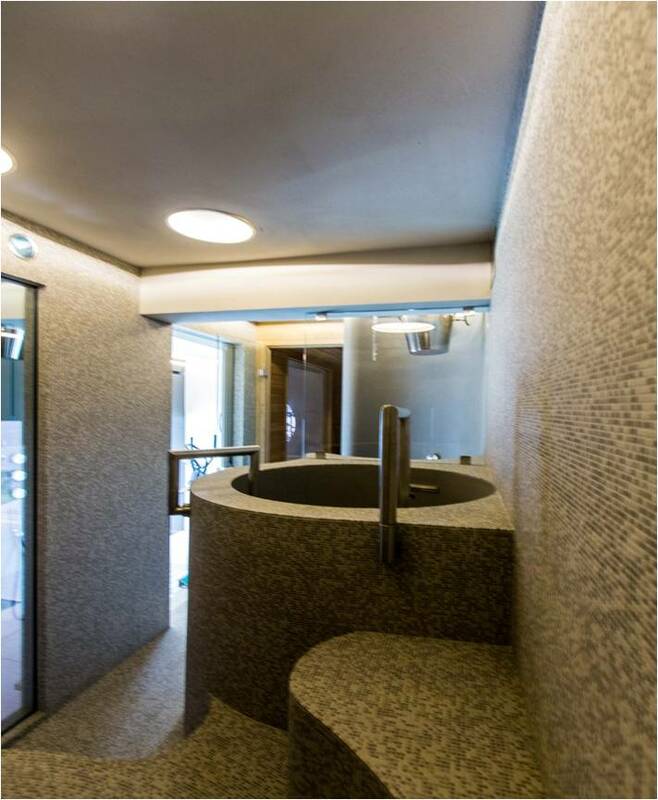 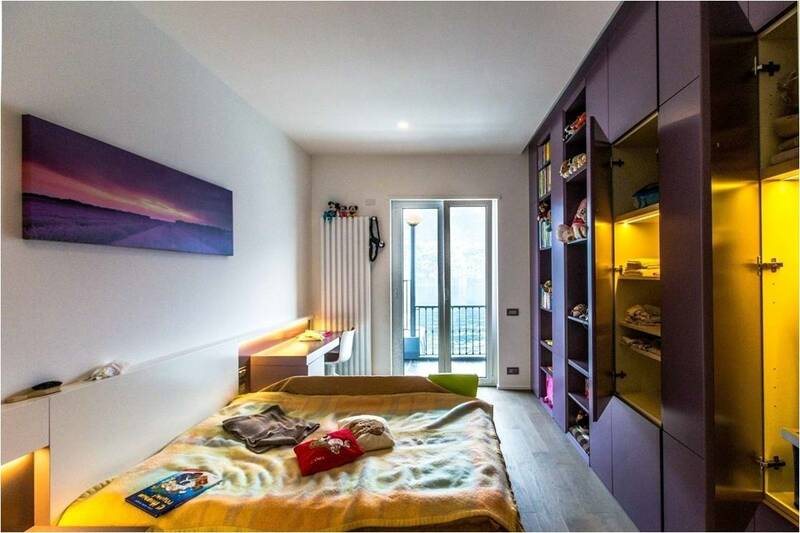 – 2nd floor of 85 square meters: 2 bedrooms, one bathroom, laundry, balconies. 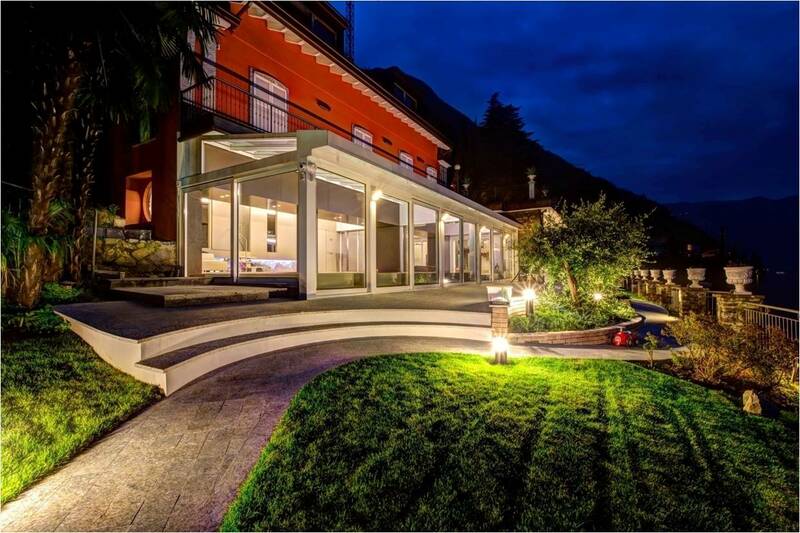 Security system, high technology (photovoltaic and solar panel, thermal pump, gas heaters), top of the line materials and furniture. 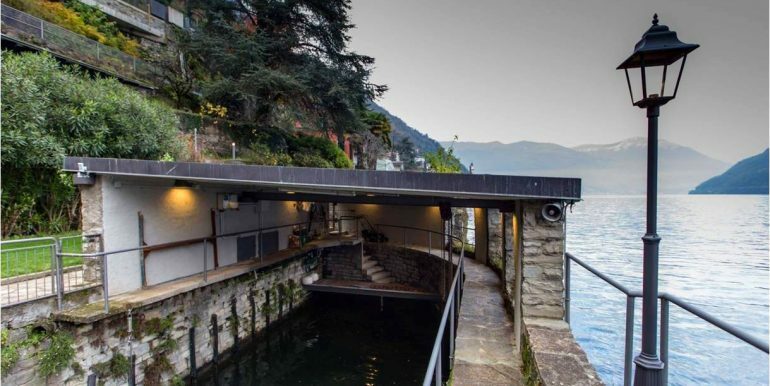 The roof of the boat house could be used as helipad.